"Good location management and translation management"
PoEditor is a simple tool to use, with a complete interface, with really flexible tools that adapt to each one of the administration and organization functions that you need to do. The translation functions have been an essential part of my work and these have been participants in our collaborative work in real time. The integrations of applications or web sites has greatly facilitated many functions, all this to have many of the necessary information organized on a single platform. We have explored and been participants in all the functions of PoEditor and each one of them allows us to work excellently, however, it is necessary to improve some translations, to be exact and precise, to adapt the language with which you want to work and to be able to perform a perfect translation job. Without a doubt, PoEditor has become a friendly tool, which in a simple way allows us to perform each of the functions we need. It is an excellent platform for the management and organization of work, in addition to the tool of collaborative translation that has been excellent with respect to all its functionality. I recommend this tool, easy to use, you do not have to be an expert to master it. It has helped us with each of the administration functions we have needed. In addition to the integration of applications and websites, we have been able to perform the complete translation service, with a complete administration that has allowed us to develop in the area in a more comfortable, flexible and fluid way. In addition to this we have saved time of work invested and we performed the work quickly and immediately thanks to its operation in real time. "Good tool to manage the translation of applications." It has many features that I like and that have made my job much easier. 2.- The interface is very complete, I like that I have absolutely all the tools, which for my convenience, are the most useful to develop all the functions correctly. 4.- Constant updates that allow you to completely cover all the needs that you want to cover with this tool. The translations are improving and they are ready in real time with all the professionalism I'm looking for. 5.- It allows me to verify the changes that people are making. On the other hand, it helps me integrate them into the project through its API. Thanks to this tool and the integration of it in my work, things have been much simpler and it really saves me a lot of time. The translations should be more optimized and improved, and even more when they come directly from the original language, although I mentioned earlier that the translations are constantly updated, I feel and I think they could be better. Being able to download all the languages in the project at the same time to perfect localization and translation management, would save a lot of work. I recommend its use, you get a very good experience in participation in business management, where your business will take more specific demands on the work of translation of applications, does an unbelievable job and offers very complete functions. POEditor has allowed my business project to grow and shine exceedingly. It allows the localization of a software product and helps with the exchange of resource developers and translators. Since I use this tool the translation and localization work of the software, the work is done much faster and with greater efficiency in the management of different corporate operations. "Useful platform of localization for translations of applications"
It is a very useful tool that is quite simple to understand, you do not have to be an expert to start using it. The interface has helped to make it easier to use it thanks to the fact that it has the options to develop all the functions excellently and thanks to the updates it adapts to the needs that are available day by day with respect to translations, which are, in time real and with the best quality. As well as being able to integrate GitHub we have saved a lot of time and work. More optimization and accuracy in translations, although updates are constantly made, can be improved when those changes are made in the original language. Nor can you know exactly where the language comes from and this makes it difficult and takes time away from work. I think that if these small discomforts are adjusted POEditor can be driven much faster to success. Simplifying and being the most concise, POEditor is a useful tool that you need in your personal, professional life and in your company. It contributes to develop a work with excellent translations. Try and try the software, you will never regret using it and it will bring thousands of advantages to your life. POEditor has changed my perspective and has brought great advantages in and out of work. It saves me time of work because its use is really very easy. Poporciona translations in a professional manner, the information provided is excellent and the best quality just when I need it most. I can also synchronize files to make easier the work that is developing at the moment, which contributes veracity and efficiency to my daily work. Poeditor is one of those softwares that help me, not only in the workplace, but also in my personal entertainment and instruction. It helps me, to a large extent, to manage my translations, every day I venture more into the world of languages and therefore, I need a tool that allows me to do them, manage them and correct them in a professional manner. With Poeditor I can make open source translations, efficiently and actively; because all the files are kept updated to the order of the day, and they provide me with the result I really expect from programmers like this one. The platform, although it easily updates the translations, can significantly improve its optimization and daily veracity when changes are made in the source language, but I do not think it is something that the program, with such good tools, can not achieve; This is reflected in the inclusion of GitHub in the platform that aims to boost the growth of POEditor, and it augurs great changes. However, there is no representation of each country, there is no precise specification of the State from which the translation comes. With this option I lose time that, without a doubt, I could save. My recommendation is to take into account the G2Crowd reviews, because they are a window open to users who use the POEditor platform, can express their pros, cons and even the competition, and can serve as a questionnaire or survey of how effective your translation services, and of course, improve. In addition to the modifications that are constantly reflected in the platform at the time that the people who use it make changes, and that the program allows me to see, POEditor facilitates my work in 70%, since their translations do not have limits, and develops professionally, and effectively the information I need in the time I need. I always recommend it to my clients and I have many alternate accounts, personal and work. "Good App for localization and translation management"
I have first heard of the localization platoon PO editor in the facebook. The Facebook page said this app could be connected to the Github to manage the localization in the more easy way. After that, I had decided to give it a try. I have connected my repo to the POEditor account to quickly communicate data between our localization platform and Github. The dashboard is really too good, I can check all the changes which people are making. It also helps me to integrate their into the project via their API. This is the very good platform for localization. But In my opinion, they need to more work on the API Integration. This is good for localization and translations and I observe, there is a good support if you need assistance. The main problem is solving the localization. I am working as a developer in the open source project and I am using POEditor to manage our translations.It is easy to manage the translation now. If you are facing some issue with the dashboard or you are not able to get properly, you can easily connect to the support. They will help you. I did the same. This is the good platform for translations. "Great Tool for Application Translation Management"
I appreciate the user interface as it is intuitive and simple to use. It is clean and easy to pick up the first time you use it. Its quite basic features are essential for your localization process at that moment and adapts to your workflow as you go. The realtime translation updates are fantastic! If there are more contributors translating the same language concurrently, then they will overlap seamlessly without interruption because they can see in real time what changes the others do. The GitHub integration is also a huge impact for users, a game changer, and timesaver. I wish you could download all the languages in the project at the same time. That would make things even faster than they already are. Also, some of the translations could use some improving by machine learning. POEditor will save you a lot of time and headache. It is worth testing out on a trial basis, and you will find that it will improve your overall translation workflows. POEditor increased the productivity of our translators with its easy to use and collaborative interface. It also improved our localization work flow and helped us save enormous amounts of time to work faster and more efficiently. Simple Open Source project, where I was hoping to get the front-end translated into a few languages. "Non-intuitive GUI, lots of clicking to set-up"
- Free for GPL projects. - Has quite some features. - Difficult GUI to work with: involves lots of clicking, hand movement between mouse and keyboard, etc. Productivity mode that simplifies translation is limited to untranslated terms only - not useful for reviewing existing translations. - Non-intuitive: requires quite some learning how to use features properly. Suitable for simple projects only. Localisation of a software product easing the developers and translators exchange of resources to translate. What I love about this product is the ease of being able to translate one language file to the next. Overall there is no doubt in my mind how efficient and easy this product is to use when assigning files to different WordPress themes, and overall syncing po files into easy translation. I have yet to find something I disagree when it comes to this program. I have yet to find a thing I overall disagree with when it comes to this program. I would definitely use this tool when it comes to creating different translations through wordpress. Keep in Mind you have to have WordPress installed in order to use this product and take full advantage of it. I am able to sync different language files and extentions to meet my needs when it comes to working with WordPress overall. I feel like this is simplifying my job when it comes to changing extensions in order to create a more efficient file. "Great website for application translation management"
Before I came across POEditor, I was having a lot of problems in management of the translations for my individual project. Even contributors were having problem in submitting translations as they had to create a pull request on the Github and it was quite challenging for the translation contributors who generally are from non-technical background. So, I started searching for a website/tool which will help me in managing translations. I came across one answer on Quora which led me to this awesome website. The best thing about POEditor is that they support Open Source softwares and give unlimited number of hosted translations words for FOSS projects. Although it's really very great platform but I think the translations output can be improved more. Earlier I had users from only my country but now my application is being used all over the world. It wasn't really possible without great help from POEditor. "Offer multilingual support at (almost) zero cost"
From a programmer's perspective, its Github integration allows you to catch a thread and deploy your localization thread without struggle. It is not very intuitive for non-programmers, which could make it difficult for people working with more mainstream platforms, such as WordPress. Regardless of your background, get your IT or tech friend to help you with the installation. Not problems, just testing the software. "Very useful localization tool to manage translation for your apps"
I cannot praise this tool enough, it has spared us so much pain! First and foremost, I appreciate the user interface, it is a dream. It is stripped down to the features essential for your localization process at that moment, and adapts to your workflow as you go. Second, the realtime translation updates. If there are more contributors translating the same language at the same time, they will not step on eachother's toes, because they can see in real time what changes the others do. Third, the perfect GitHub integration. Big timesaver. I wouldn't mind if I could download all the languages in the project simultaneously - it'd make things even faster than they are. If you have to translate an app that is available on more platforms (iOS, Windows, Android), upload the content to the same project and use the tagging system to group the strings. It will save a lot of space in your account, and you'll be able to export the localized strings for each platform using these filters. Talk to the support team in case of anything. They're very swift and friendly. What I enjoy the most about the translation platform Poeditor is that it's really easy to get started with it. The other translation tools I've utilized in the past required that I spent more time to understand what and where I should click to get my translation work done. I haven't found anything that bothers me about Poeditor so far. Don't look for a save button, each translated string gets saved automatically. Poeditor helps me finish software translation tasks faster and makes it simple to communicate with the team manager and other translators, if it's a shared translation job. "Affordable and easy to use service for localizing software"
That’s it’s genuinely easy to understand, as a tool. That it makes teamwork efficient. That it always provides fast support. And, of course, that it’s cheaper than most localization management services on the market. Some clients wanted to host POEditor on their own server. It would be nice if this was possible. Contact support in case you’re testing POEditor and can’t find a particular feature immediately. The interface is built in such a way that only the features necessary for your specific project/role/workflow show up. So it’s likely that the feature exists, but placed somewhere where it’s not uselessly crowding the interface. I’ve researched several localization platforms for my clients who wanted to make their apps available in more languages. POEditor was the best value for money variant, from the alternatives explored. "Great tool for easy translations"
"5 projects and everything is fine"
the project configuration and the way to add translator on each language. The api integration can be improve. The only problem I had was the delay in the translation of a specific application, although it was not. He helped me translate some apps that were in Swedish, which were necessary to develop a work project. "Good tool for open source projects"
It's very simple to use for contributors involved in translation / localization. They can just login, choose the project to contribute to, and start translating the sentences. It is not possible to translate only some of the sentences using automated tools (just to try them), if you have a project which has more than [I don't know the exact figure] strings to translate. It's nice that there is a support for free software projects. I like how the interface is pretty clean and allows for a seamless use with ease. It's also great for small projects on a lower budget. Affordability is important for someone like me who looks for the best price. The translating feature seems like it can be a bit tricky. It can translate word press files but I have been finding the translates to be finicky. I think they should try to make their translation feature more accurate and not have the user worrying if the translation is correct. We've used the POEditor around a year ago and it really did the job. We had to translate to 5 different languages and it helped us organize the process. The interface wasn't great - if you're not very tech savvy you can easily get lost. Creating 5 different language versions of our business website. I enjoy the fact that it integrates Slack which is the group chat method we use at the agency I work for. I dislike that it doesnt pick up on all translations or sometimes infers things incorrectly. I have not used this product long enough to really give recommendations to change. 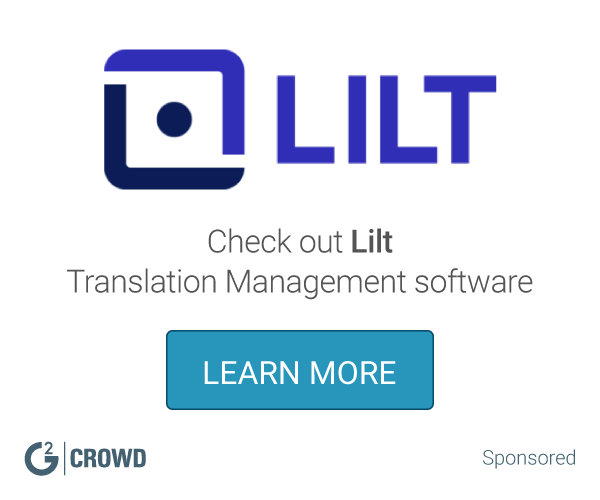 Ideal software for collaborative or crowdsourced translation projects. We have used it to translate websites and mobile apps. The on boarding process took a little bit of time but after that it became much easier to use and as great functionality. Translating websites was the number one problem that we were able to solve with PO editors. We realize a lot of benefits, including that our website is able to be viewed by multilanguage users. This is one of those softwares that is the perfect solution for translation issues. It is really hard to find something that we deslike. Much faster translations of websites. Contributors work easily. "Good when multiple people translate same project"
I liked crowd sourced translations support and that it is free for open source projects. Ease of use could be improved when working with multiple languages at a time. The localization management platform that's truly efficient! Check others as well, there are lots of players in the market. "Unique entry in such kind of domain "
Contributors option is interesting. Also, options for contributors are good. Found little difficult at places to understand the whole process. Trying to use it for translation by a group of people. Seems good. "I tried it for a period"
Use of access, also my ability to use the mobile web. Mobile web log in could use some optimisatuon. "POEditor is adequate but no sparkle"
It fulfills all basic requirements I need. * We monitor all POEditor reviews to prevent fraudulent reviews and keep review quality high. We do not post reviews by company employees or direct competitors. Validated reviews require the user to submit a screenshot of the product containing their user ID, in order to verify a user is an actual user of the product. Hi there! Are you looking to implement a solution like POEditor?